Aside from possible exploration of oil fields, the most valuable resource for coastal states in their exclusive economic zone is the sovereign right of fishing. The fishing rights within the exclusive economic zone are almost exclusive and are nearly equivalent to total sovereignty. 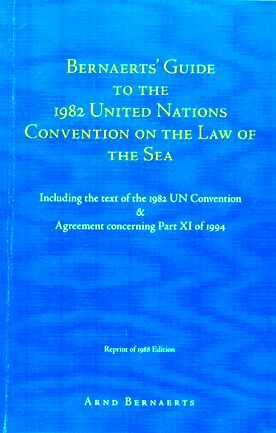 The general obligation to conserve and the right to utilize the living resources as well as the obligation to invite countries which traditionally fish there or are land-locked or geographically disadvantaged states to participate in fishing only if there is a surplus of catch and agreements or arrangements have been reached are not conditions under which fishing rights of other states can easily be exercised. In addition, the coastal state need not accept compulsory dispute settlement procedure in many substantive fishing matters and is subject to compulsory conciliation in only three instances. Nonetheless, the coastal state has to exercise its rights in the light of the general provision of "good faith and non-abuse of rights�. 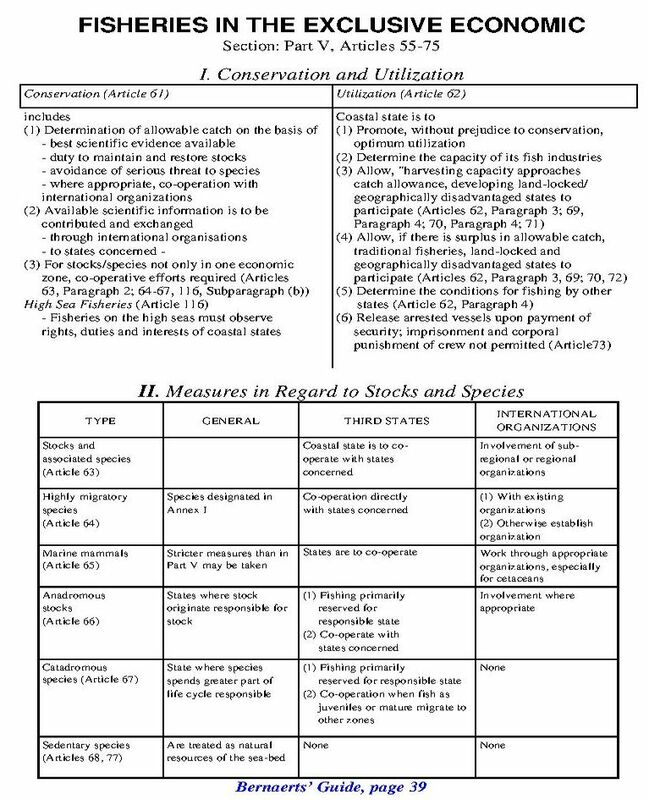 Conservation includes the determination by the coastal state of the allowable catch, which is to be based on the best scientific evidence available; where appropriate, the coastal state is to co-operate with the competent international organization to avoid over-exploitation. Measures must be designed to restore and maintain the population and must take into account the effects of harvesting on associated or dependent species in order to prevent the endangering of such species. Where the same stocks or associated stocks occur in the exclusive economic zones of two or more states or in the high seas as well as the zones, the states concerned are to seek to co-operate to ensure that the species is conserved and developed. For particular species, the coastal state must especially emphasize co-operation when exercising its rights. Primary responsibility for anadromous stocks and for catadromous species rests with the states where the stocks originate or spend the greater part of their life cycle. In general, harvesting of these species is to take place only within the exclusive economic zone boundaries of the state of origin. The coastal state is to aim for optimum utilization of the resources in its zone and, in particular, to allow land-locked, geographically disadvantaged, and developing states to participate in-the surplus its national capacity cannot harvest. The coastal state is to give land-locked states and geographically disadvantaged states preference. Even if the capacity of the coastal state approaches a point which would enable it to harvest the entire allowable catch, arrangements must be established permitting developing land-locked states and geographically disadvantaged states to participate in the harvest. These provisions do not apply only in the event that the coastal state depends overwhelmingly on the catch for its own economy. Participation by other states in the harvest of living resources, if not regulated by agreement, is to be regulated by laws and regulations of the coastal state, including enforcement procedure. Vessels arrested for violation of coastal state fishing laws and regulations for the fulfilment of this state's obligations must be released upon payment of reasonable security. Imprisonment or corporal punishment of crew is not permitted.